There are few animals as revered as the tiger. In fact, a recent poll by the TV channel Animal Planet revealed that the Tiger is also one of the world’s most popular animals. What is it that makes these beautiful beasts so attractive? One reason may be that the Tiger represents the way we as humans want to live our lives. They are ferocious and sensual, wild and untamable, powerful and strong and without inhibitions. They are driven by instincts and passion and aren’t held back by ration and reason. These animals are also solar totems, which means they are ruled by the Sun and as such they are seen as fiery and passionate. It is said to be a great lover, you must be a tiger in bed! 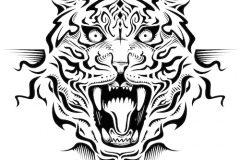 There are many reasons why people choose to get a tiger tattoo and as such there are many different meanings and presentations. 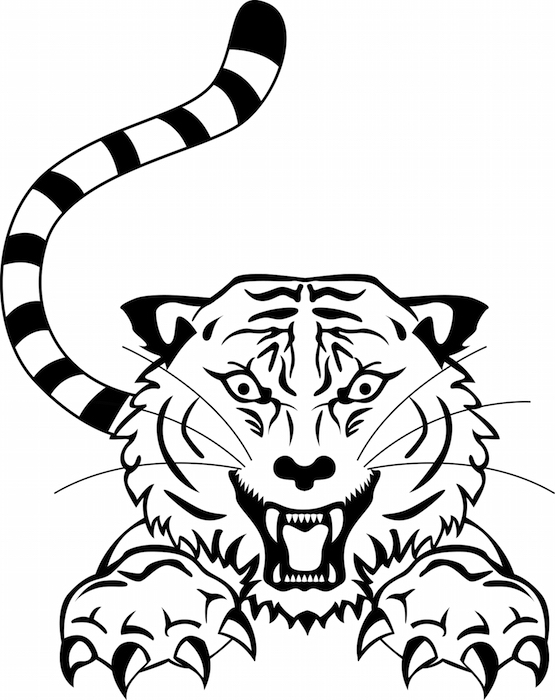 The most popular presentation is an orange tiger with black stripes and green eyes. White tigers with blue eyes are less common and have a slightly different meaning. 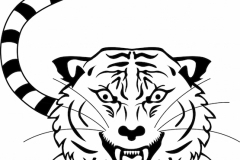 Chinese tiger tattoos can come in several different colors. In Chinese legend, the universe is held in balance by five powerful tigers. 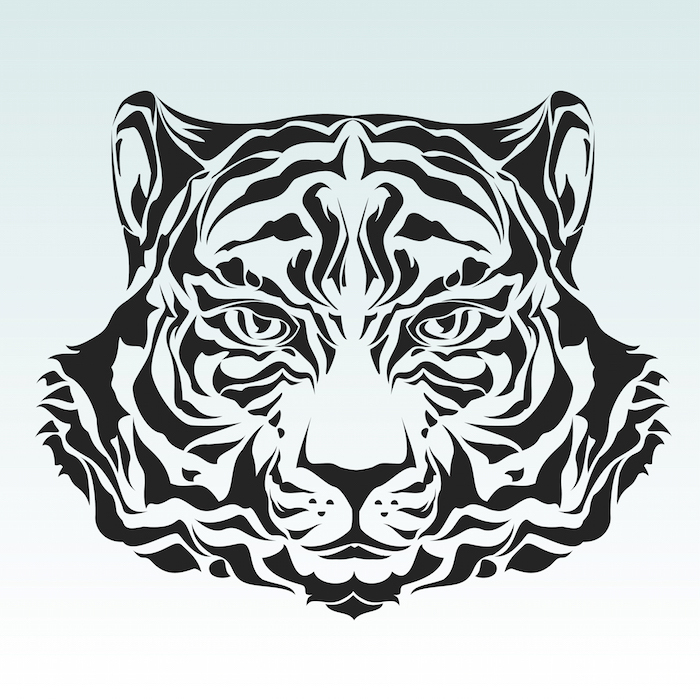 Each tiger has a different color and has a specific task to complete as well as being the ruler of a natural element. The White Tiger is the ruler of autumn and governor of the element Metal. The Black Tiger controls the winter and the element Water. The Red Tiger is the guardian of summer and ruler of the element Fire. The Blue Tiger is the totem of spring and the element Earth. And just as in J.R.R. Tolkien’s The Lord of the Rings, there is one tiger to rule them all. The Yellow Tiger is a being born of the Sun with the duty of keeping its companions in line. 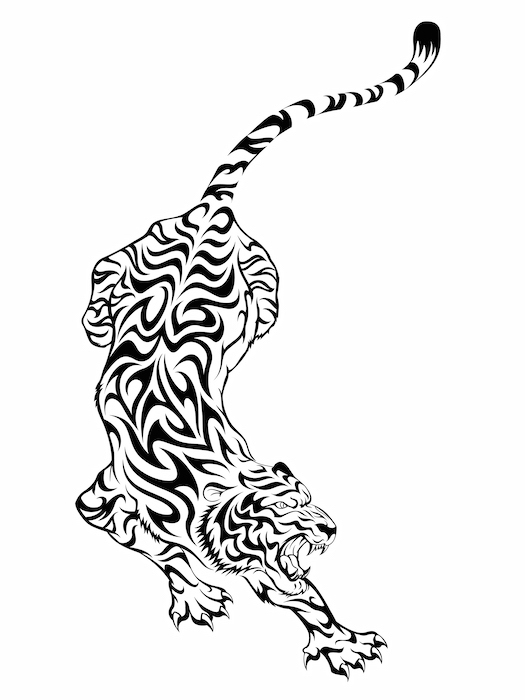 The Tiger is a potent symbol of Power and Invincibility. 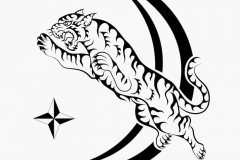 It’s no surprise that elite military soldiers get Tribal Tiger Tattoos. The belief is that doing so infuses the wearer with the power and spiritual energy of the animal totem and is a way draw resources and inspiration from these sacred totems. 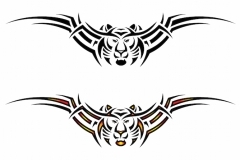 A Tiger Eye Tattoo symbolizes your most primitive desires. You are moving and thinking simply on instinct and drive. 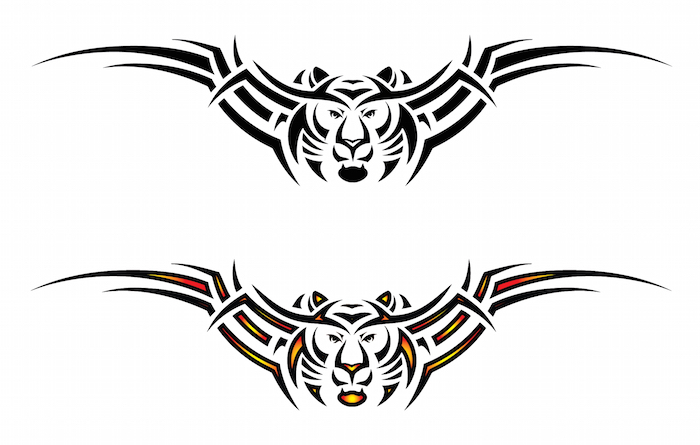 The eye of the tiger represents the animal in its purest state. It is stalking, hungry, focused, and most importantly lethal. The Butterfly is a fragile creature that must be handled with love and care. It is a symbol of Femininity and softness. 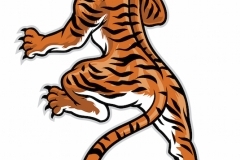 On the other hand, the Tiger is a symbol of Power, Strength, Passion, and Sexual Prowess. 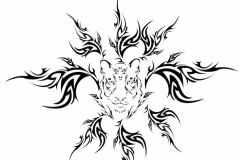 A Butterfly Tiger Tattoo is a juxtaposition of two seemingly unrelated attributes. In essence, these designs show that you should never judge a book by its cover. These tattoos are most often worn by women and are a signal to the world that even the most fragile being can be tough and untamable on the inside. It represents the Inner strength and reserved Power of women. In Chinese mythology, the Tiger and the Dragon are mortal enemies eternally engaged in fierce battle. Both are totems of Mother Nature and represent Power, Strength, Passion, and Desire. What makes them different is the way in which they interact with the world. The Dragon is a wise creature and a being of knowledge that is in tune with the fundamental elements of the world. 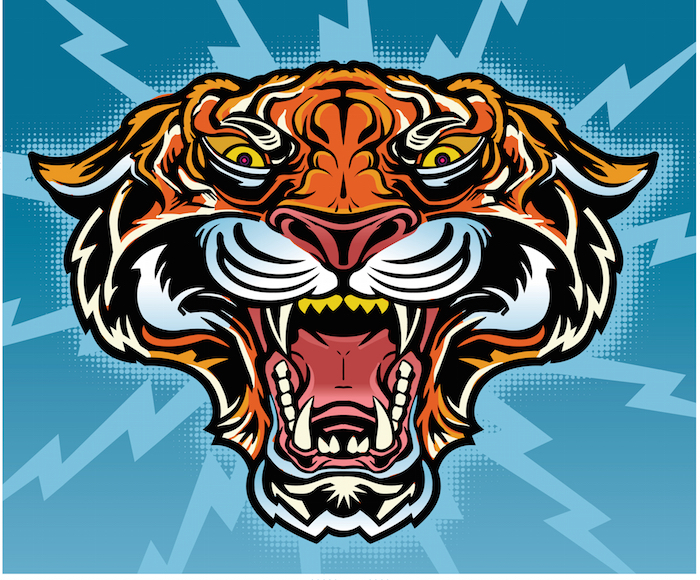 The Tiger is a creature of brute strength and primal power. 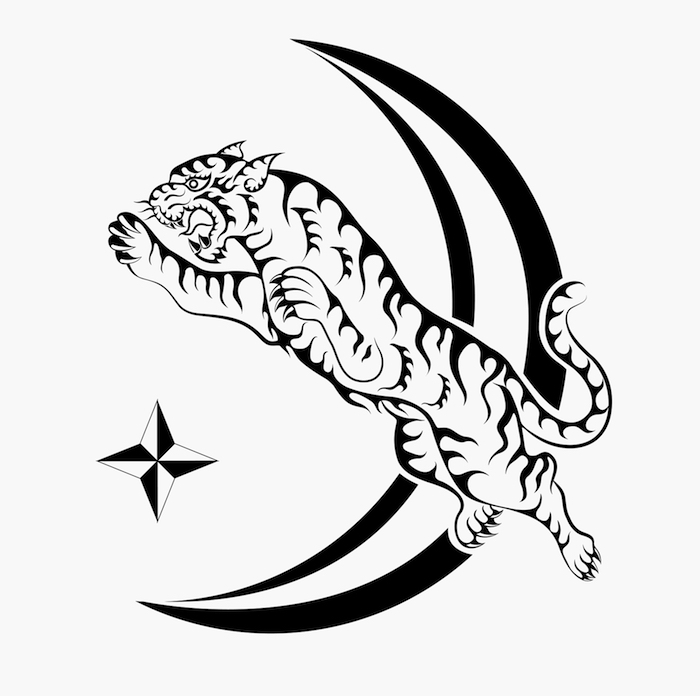 A Dragon Tiger Tattoo may represent the struggle between the Mind and the Body or a balance between the mind and body. 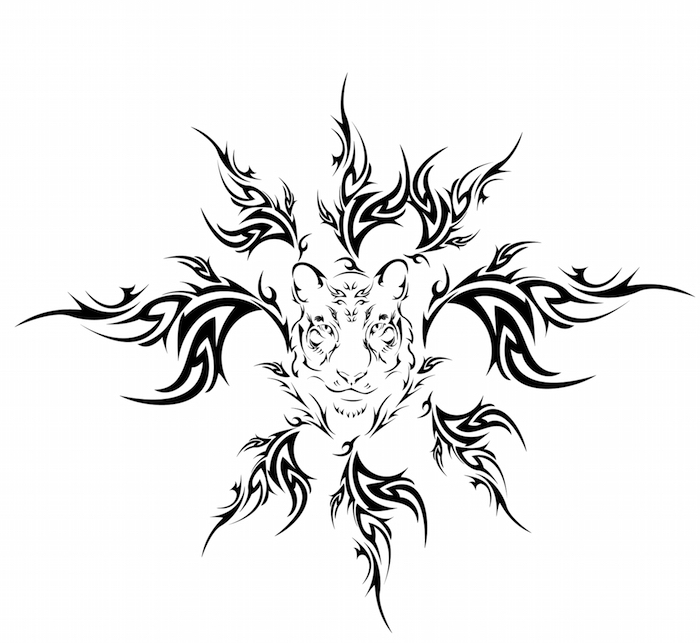 People who wear this tattoo are often calling upon the power of the tiger for luck, success, power, protection and courage. Whether it is a elite military soldier calling upon the skills and courage of the tiger or an ordinary person the tigers attributes can be a tremendous ally. 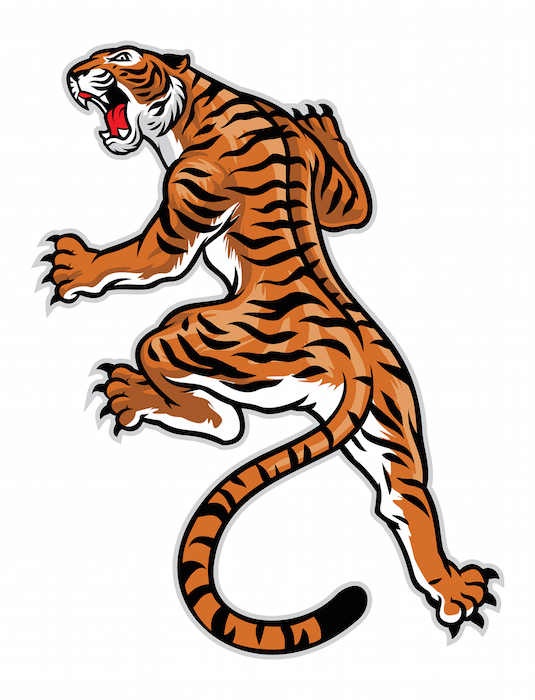 The essence of the tiger tattoo symbolism is that of courage, strength, power, and freedom. 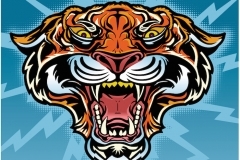 The tiger is the skillful and fearless protector who also embodies passion and nobility. 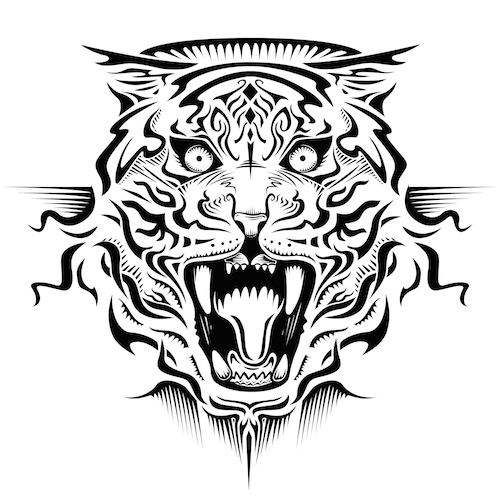 The tiger as both an animal and a symbol has always been special to me. Being born in the Chinese year of the tiger, I have always felt closely aligned with my tiger allies. Even before I was aware of Chinese astrology, I had a fascination with these large cats. 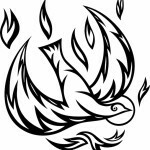 It’s no wonder that this symbol has been part of my life for many years. 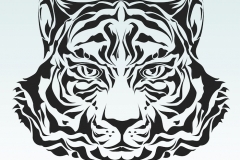 While the main meanings of courage and strength mean much to me, the tiger is also a symbol to remind me to stay in control and not pounce first and ask questions later.